Doomsday Book , To Say Nothing of the Dog , Blackout/All Clear , "The Last of the Winnebagos"
Cynthia Felice is an American science fiction writer. She is best known for her complex, carefully plotted stories and expansive universes. 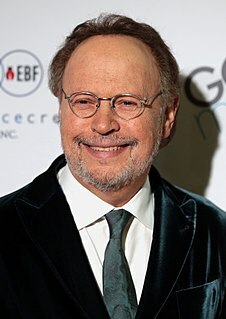 Gary K. Wolfe is an American science fiction editor, critic and biographer. He is an emeritus Professor of Humanities in Roosevelt University's Evelyn T. Stone College of Professional Studies. Science fiction conventions are gatherings of fans of the speculative fiction genre, science fiction. Historically, science fiction conventions had focused primarily on literature, but the purview of many extends to such other avenues of expression as films, television, comics, animation, and games. Futures Imperfect (1996) – omnibus edition of Uncharted Territory , Remake and Bellwether . Willis, Connie (1999). Miracle and Other Christmas Stories . Bantam Spectra. De Lint, Charles (Aug 2000). "Review of Miracle and other Christmas stories". Books to Look For. F&SF . 99 (2): 22–25. Fire Watch is a book of short stories by Connie Willis, first published in 1984, that touches on time travel, nuclear war, the end of the world, and cornball humour. The 1985 Annual World's Best SF is an anthology of science fiction short stories edited by Donald A. Wollheim and Arthur W. Saha, the fourteenth volume in a series of nineteen. It was first published in paperback by DAW Books in June 1985, followed by a hardcover edition issued in September of the same year by the same publisher as a selection of the Science Fiction Book Club. For the hardcover edition the original cover art by Frank Kelly Freas was replaced by a new cover painting by Richard Powers. The Best Science Fiction of the Year #12 is an anthology of science fiction short stories edited by Terry Carr, the twelfth volume in a series of sixteen. It was first published in paperback by Pocket Books in July 1983, and in hardcover by Gollancz in the same year. Nebula Awards 28 is an anthology of award winning science fiction short works edited by James Morrow, the third of three successive volumes under his editorship. It was first published in hardcover and trade paperback by Harcourt Brace in April 1994. The book has also been translated into Polish. Nebula Awards Showcase 2012 is an anthology of science fiction short works edited by James Patrick Kelly and John Kessel. It was first published in trade paperback by Pyr in May 2012. ↑ Merrick, Helen. 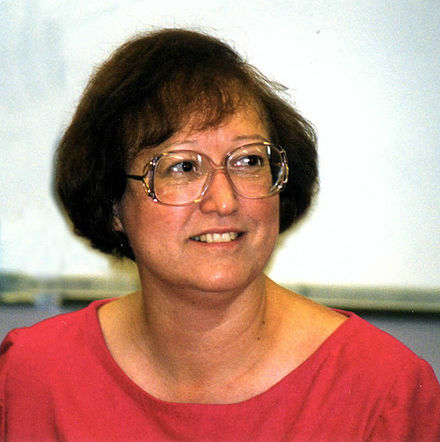 "Nebula Awards Interview: Connie Willis". Science Fiction and Fantasy Writers of America. Retrieved 2013-04-03. 1 2 "sfadb : Connie Willis Awards". www.sfadb.com. Retrieved 2015-11-14. ↑ "EMP|SFM Announces its 2009 Science Fiction Hall of Fame Inductions". empsfm.org. 2009-08-14. Archived from the original on 2009-08-14. Retrieved 2015-11-14. ↑ Strock, Ian Randal (2009-04-06). "2009's Science Fiction Hall of Fame Inductees". sfscope.com. Archived from the original on 2012-07-10. Retrieved 2009-06-06. 1 2 "Damon Knight Memorial Grand Master". Science Fiction and Fantasy Writers of America (SFWA). Archived from the original on July 1, 2011. Retrieved April 3, 2013. 1 2 "Time Travel – Series Bibliography". www.isfdb.org. Retrieved 2013-04-03. ↑ "University Archives: RG18 ALUMNI". 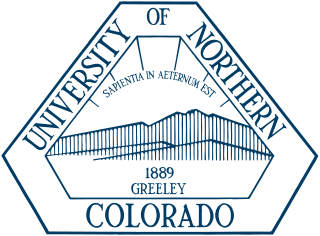 University of Northern Colorado: University Archives. January 27, 2002. Archived from the original on January 9, 2009. Retrieved June 6, 2009. 1 2 "Connie Willis – Summary Bibliography". www.isfdb.org. Retrieved 2013-04-03. ↑ "Connie Willis: The Facts of Death", Locus , January 2003, p. 7. ↑ Wolfe, Gary K. (March 2001). "Passage". Locus . Oakland, California: Charles N. Brown. 46 (3, issue 482): 21. ISSN 0047-4959 . Retrieved December 4, 2013. ↑ Kathryn Cramer (2006). Hartwell, David G., ed. Year's Best Fantasy 6. Tachyon Publications. ISBN 1-892391-37-6. 1 2 "Sci-Fi Awards Show Marred By Boorish Groping". August 30, 2006. Retrieved June 14, 2017. ↑ Larry Sanderson (July 9, 2011). 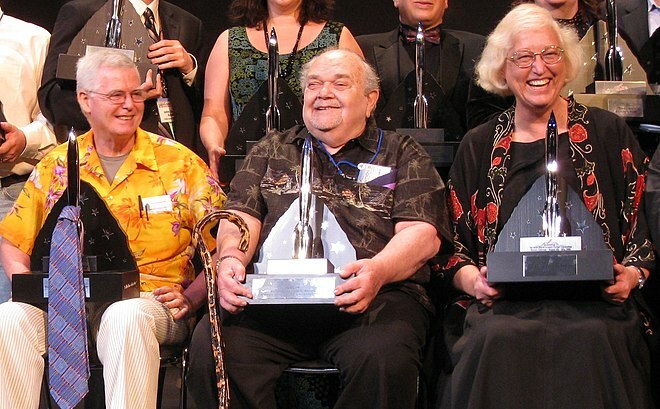 "Hugo Awards – Harlan and Connie – 2006". YouTube. ↑ "Don't Let Harlan Ellison Hear This" . Retrieved June 14, 2017. ↑ "Connie Willis answers your questions". scifi.com/sfw. Archived from the original on May 2, 2013. Retrieved August 16, 2018. 1 2 3 4 5 6 "1993 Award Winners & Nominees". Worlds Without End. Retrieved May 4, 2009. 1 2 3 4 "1999 Award Winners & Nominees". Worlds Without End. Retrieved May 4, 2009. ↑ 2011 Hugo and Campbell Awards Winners. Locus. Retrieved August 21, 2011. 1 2 "1996 Award Winners & Nominees". Worlds Without End. Retrieved May 4, 2009. 1 2 3 "2002 Award Winners & Nominees". Worlds Without End. Retrieved May 4, 2009. ↑ "2010 Award Winners & Nominees". Worlds Without End. Retrieved May 23, 2011. 1 2 3 "2001 Award Winners & Nominees". Worlds Without End. Retrieved May 5, 2009. 1 2 3 "1988 Award Winners & Nominees". Worlds Without End. Retrieved May 5, 2009. ↑ "1992 Award Winners & Nominees". Worlds Without End. Retrieved May 5, 2009. ↑ "1997 Award Winners & Nominees". Worlds Without End. Retrieved May 5, 2009. ↑ "1998 Award Winners & Nominees". Worlds Without End. Retrieved May 5, 2009. Wikimedia Commons has media related to Connie Willis . "Connie Willis biography". Science Fiction and Fantasy Hall of Fame .